Sandy was an Architect who built a cool house that will stimulate your mind and rest your body. This custom designed cabin home was built in the summer 2017. The cabin features contempo scandinavian interior with modern vintage ski motif. Brand new furniture and appliances throughout! Kitchen is fully stocked and outside gas grill is provided. This is cabin has everything you need on one floor for easy living! Vanilla was a girl who traveled the world and brought it all home for you to enjoy. This custom designed cabin home was built in the summer 2017. The cabin features cottage contempo interior with photos and treasures collected from around the world. Brand new furniture and appliances throughout! Kitchen is fully stocked and outside gas grill is provided. This is cabin has everything you need on one floor for easy living! Cozy was a man who rode a moose and built a very fine cabin! 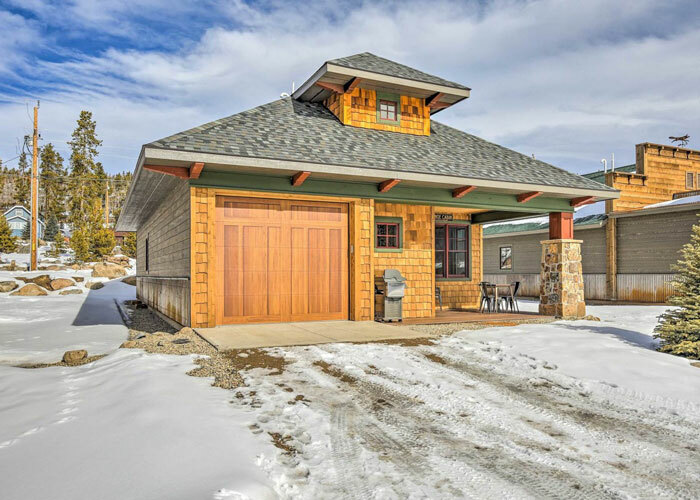 This custom designed cabin home was built in the summer 2017. The cabin features contempo rustic interior with vintage nation parks posters and moose-y theme that not too kitschy. Brand new furniture and appliances throughout! Kitchen is fully stocked and outside gas grill is provided. This is cabin has everything you need on one floor for easy living! Woody was a cowboy who could not ride a horse, but had a big dog of course! This custom designed cabin home was built in the summer 2017. The cabin features contempo western interior and pet friendly theme that not too furry. Brand new furniture and appliances throughout! Kitchen is fully stocked and outside gas grill is provided. This is cabin has everything you need on one floor for easy living! Grand Lake Cabin Craft is a company committed to unique and efficient cabin design and construction. 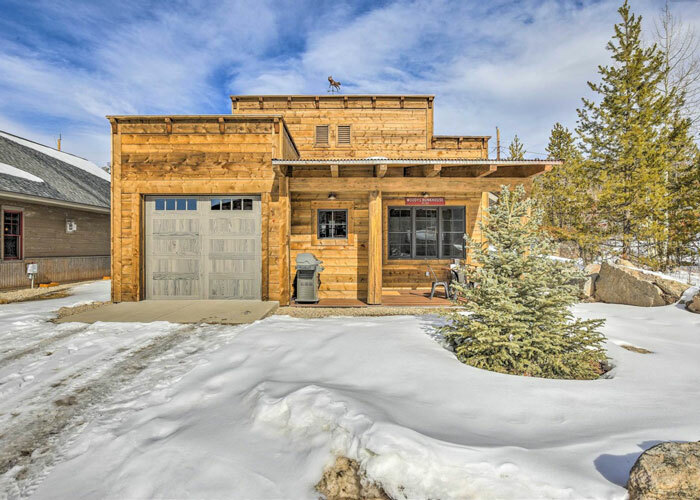 We decided not to tell you about our cabins, but to show you, by building four quintessential cabins in the heart of the fun and eclectic Village of Grand Lake Colorado. These cabins are not your regular run of the mill cabin rentals. Each cabin home has it’s own unique personality, which you will find has influenced every aspect of the cabins interior and exterior design. The cabins are stocked with everything you need to enjoy your stay, from bedding to board games, just pack a bag and you are set for a relaxing and wonderful adventure. We look forward to your visit! Unbeatable in town location, Situated just one block off the main street and walking distance to everything Grand Lake has to offer: Shops, Restaurants, Boardwalk, Boat rentals, Town Playground, Town Bingo Pavilion, The Grand Lake Town beach, Rocky Mountain Repertory Theatre and the list goes on. Bring your bikes, golf clubs, skis, fishing rods, etc etc…and don’t forget you are at the doorstep of Rocky Mountain National Park…Enjoy!